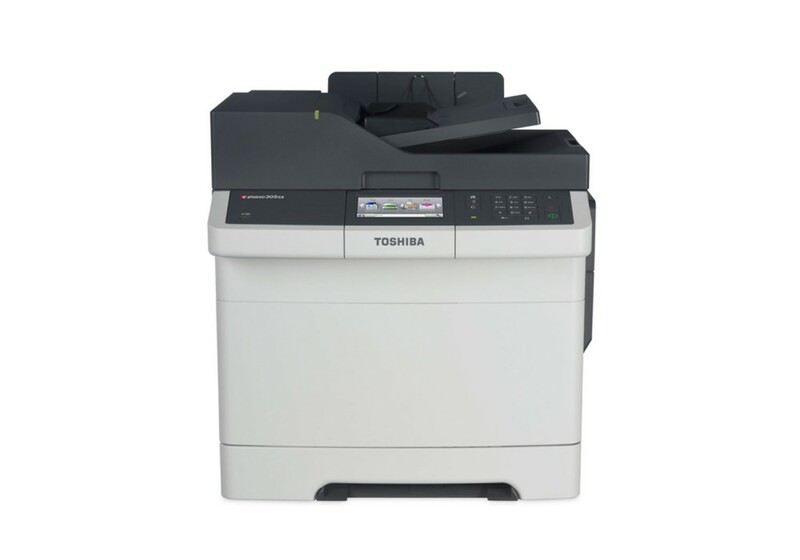 The e-STUDIO 305cs is an A4 colour system which offers print, scan, copy and fax functionality as standard. It is ideal for small- to medium-sized businesses and workgroups which need a reliable device and have high quality standards. Outstanding colours and crystal-clear graphics ensure your documents make a lasting impression. With a speed of up to 30 pages per minute and many useful functions this system will boost your efficiency. Challenging last-minute, high-volume print jobs to meet strict deadlines are no problem anymore. Meeting the increasing demand for responsible usage of resources the e-STUDIO 305cs also complies with the strictest environmental standards. The e-STUDIO 305cs is an impressive multifunction colour laser system, which covers all needs of your day-today business. Print, scan, copy and fax come as standard functions and make this system a true all-in-one device. Its print speed of 30 pages per minute in colour and monochrome ensures a productivity level which matches today’s demanding business world. The remarkable image quality gives your documents an extraordinary look – from the first print to the last. With a maximum paper capacity of 1,450 sheets you can run even large print jobs hassle-free. Energy saving modes and duplex printing are standard features to help you save valuable resources.